Bugaboo Prints is jampacked full of amazing prints for your little ones. I love the bright colors. I love Brooke's clean and simple style. These prints would brighten up any little bugaboo's bedroom. Guess what? Brooke customizes many of her prints so that you can match them to your very own color schemes. This animal alphabet is so colorful and happy! 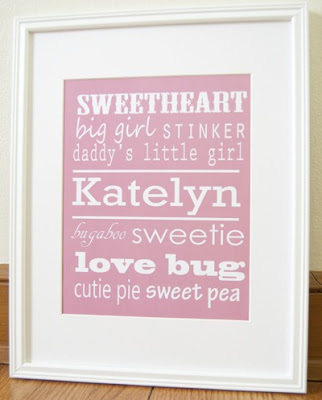 I adore this idea: Customizable nicknames for your little girl (or boy!) You can submit your own nicknames to create this print. Bugaboo Prints features several lovely animal prints. I love this owl so.very.much! 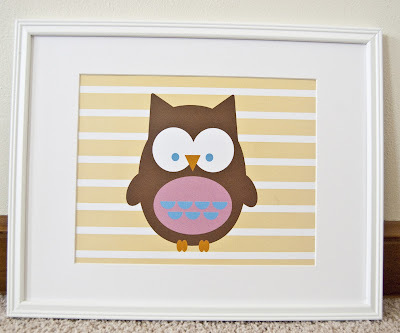 Today, Bugaboo Prints is giving away one print--ANY PRINT in the whole adorable shop--to an Oopsey Daisy reader! Bugaboo Prints will customize the print of the winner's choice. 1. Visit Bugaboo's shop and "heart" it (add to your favorites). 2. Browse BugAboo's shop. Leave a comment telling us which print you would choose if you won. 3. 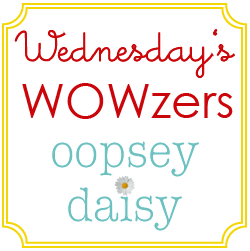 Be an Oopsey Daisy follower, and let me know. That's it! Piece of cake right? A winner will be chosen Monday at midnight. Just a head's up: I have started announcing all winners via Facebook, and then I e-mail the winner directly. If you'd like to be the first to know who won a givewaay, just follow me on Facebook! PS Hop on over to Positively Splendid, where I am participating in Amy's Summer Survival Guide today! I'm sharing something yummy... something sweet... something simple... something that SCREAMS summertime! I added Bugaboo to my FAVES!! It is hard to choose just one!! Guess I would have to go with "I Am A Child Of God" in pink!! LOVE ALL of her prints!! I love the customizable birth announcement and the customizable boy nicknames. Both are so dang cute! 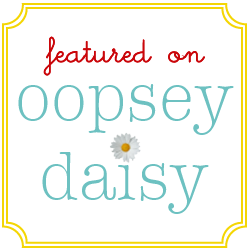 I definitely follow Oopsey Daisy! I have 4 kids. My youngest is 2 months old and I call him bugaboo! How fitting! I would love to win the alphabet for him! I'm a follower of O.D. Thanks for the chance. Oh I love the Buckle my Shoe picture. So cute! Thanks again for the chance. I added Bugaboo as a favorite! I added Bugaboo's shop to my favorites – emilliep. I would choose the Lets Roll print. It's so hard to choose, but I'll say my favorite print is the cute giraffe. I've hearted the shop and am one of your followers. I love the animal alphabet! My daughters room is in the alphabet, it would be a perfect addition!! I added Bugaboo to my favorites. The striped giraffe is so cute!! If I won, I think I'd choose either the animal alphabet print or the girl's nicknames print. So cute! I "heart" Bugaboo on Etsy! They are all so cute but I'd choose either the "I am child of God" or "Animal Alphabet" – Thanks! I added Bugaboo to my favs! I love the customizable nickname poster! I would love that for my daughters room. I love the cupcake design. It goes perfect with my daughter's cupcake bedroom. The "Child of God" in blue would be perfect for my son's room. My favorite is the monster alphabets print.. So, cute.. It Will fit perfectly in my boy's room theme..
My fav is the Giraffe print. I (heart) it. I "hearted" bugaboo etsy shop. Thanks for the giveaway. I love the striped giraffe print – absolutely adorable! Thanks for the giveaway. I'm already a follower of your blog-love it! Thanks for the giveaway. I put them as one of my favorites! I absolutely love the animal alphabet…it is my favorite!! I heart Bugaboo prints on Etsy!! and I love, love, ,love the Customizable Nicknames from Bugaboo shop. I love the blue-hued I am a Child of God and the animal alphabet. Both would be so lovely in my little boys' room. I love their monster alphabet print! I like the animal alphabet print. wow… so many CUTE things! I love the monster alphabets and the I am a child of God.. and the personalized birth announcement. What a cute shop! Added it to my faves. All the prints are just SO adorable! My favorite is the animal alphabet. I love the animal alphabet. I added bugaboo prints to my favs! I LOVE the owl, flyaway flowers, and the I Am A Child Of God prints!! They are added to my Etsy Faves! I added Bugaboo to my faves! 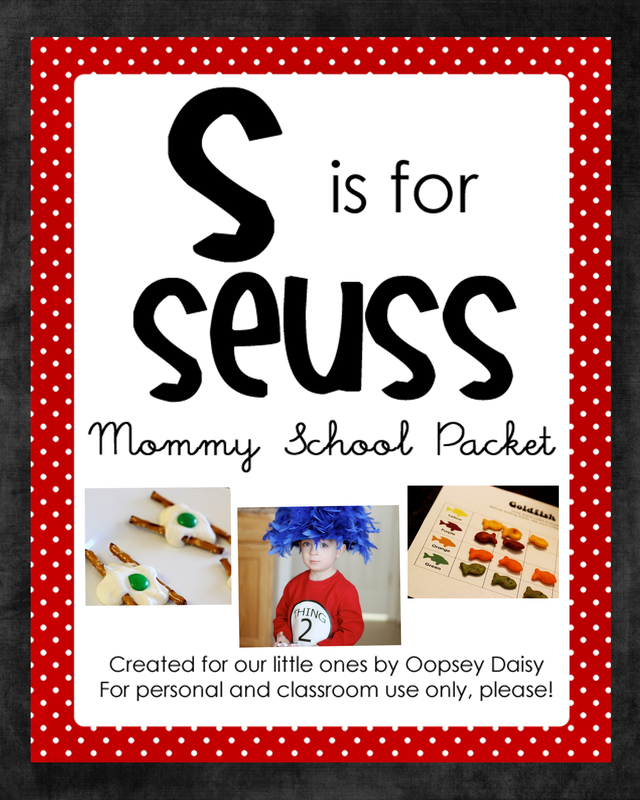 I LOVE the monster alphabet and the customizable nicknames print. I love the flower graden print. I lve your blog and I follow it. 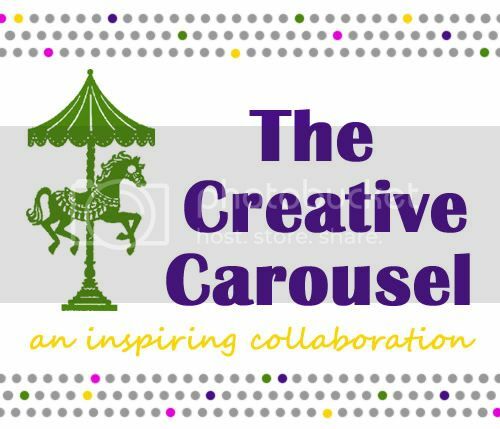 I made their shop a favorite – very cute and great prices! I love the I Am a Child of God prints and the Animal Alphabet! I would get that Animal Alphabet print! I'm loving the Monster Alphabet! I hearted Bugaboo Prints etsy shop. I hearted Bugaboo Prints Etsy shop! I love the animal alphabet! I LOVE the alphabet! That is a really cute shop, I ended up hearting it before you even said to 🙂 I've also been a follower, and I made my son a birthday subway art following your tutorial! I follow you blog! Email, GFC, Facebook and Twitter! You know, general cyber stalker for good ideas! There are several I love – the "I am a CHild of God"; the striped giraffe print and the choo choo print! I love these prints! I especailly like the child of God ones and the spring tree one! 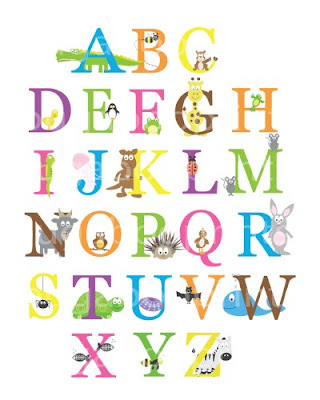 I have a serious addiction to alphabet prints so naturally I love the animal and monster alphabets. I also love the I am a Child of God prints too. Bugaboo is one of my favs. I added Bugaboo to my favs. and I would love to buy the Animal Alphabets print for my pregnant girlfriend!!! …and of course I follow you!!! I like the personalized birth announcement or the animal alphabet. I added them to my favs! I would love the customizable birth announcement for both my boys!! I love the nickname one for my baby girl! Thanks for the giveaway! Oh my gosh, the flower garden print is to DIE for! Bugaboo Prints is now one of my favorites. I'm a follower. You appear on my Google Homepage. 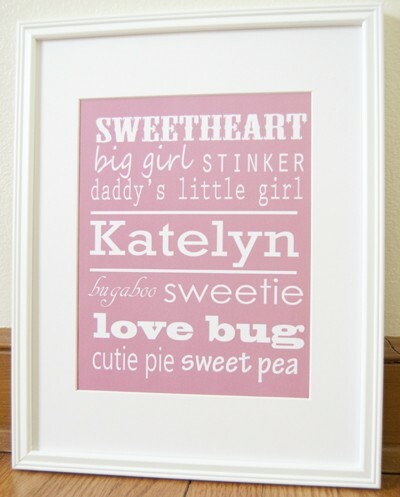 I love the customizable nickname print. I added Bugaboo Prints to my favorites. and now i'm a happy follower! I like the Spring Tree with name print. My fav is the eat sleep play repeat print. I love the flower garden print. Perfect for my daughters room. I love all the prints but especially the nickname one for each of my kids and the child of god ones. Love the let's roll print! I added bugaboo to my faves. I like I am a child of God print the best. I love the animal alphabet most 🙂 VERY cute stuff!! I added them as a favorite!